No, there is no damage if the extensions are applied by a professional. Do your research when selecting your lash artist. Make sure they are certified, read their reviews and check out their portfolio! Every lash artist also has their own style, so make sure you find the one that will work best for you. I always use the correct length and diameter of extension for each natural eyelash. Each of your natural eyelashes is in a different growth phase - I will select the correct diameter and length of extension for a safe application. Your natural eyelashes will not be weighed down or stressed! The extension is applied properly (not touching the skin or the very base of the natural eyelash) which ensures as the natural eyelash grows, the extension will sit on top and grow out and shed with it. A new eyelash will grow in its place and at your lash fills a new extension will be applied to that eyelash. The correct amount of adhesive is used to ensure the extensions bond properly but no extensions are stuck together. If I can see that your natural eyelashes are not healthy enough to support eyelash extensions, I will give you some suggestions to obtain healthy strong eyelashes and reschedule your appointment. This is a rare case since I carry even the thinnest diameters, however some clients have had damage from previous artists and their eyelashes need a break. Some clients have experienced improved eyelash health while wearing extensions because they are taking such good care of their eyelashes and they are not using mascara or eyelash curlers. 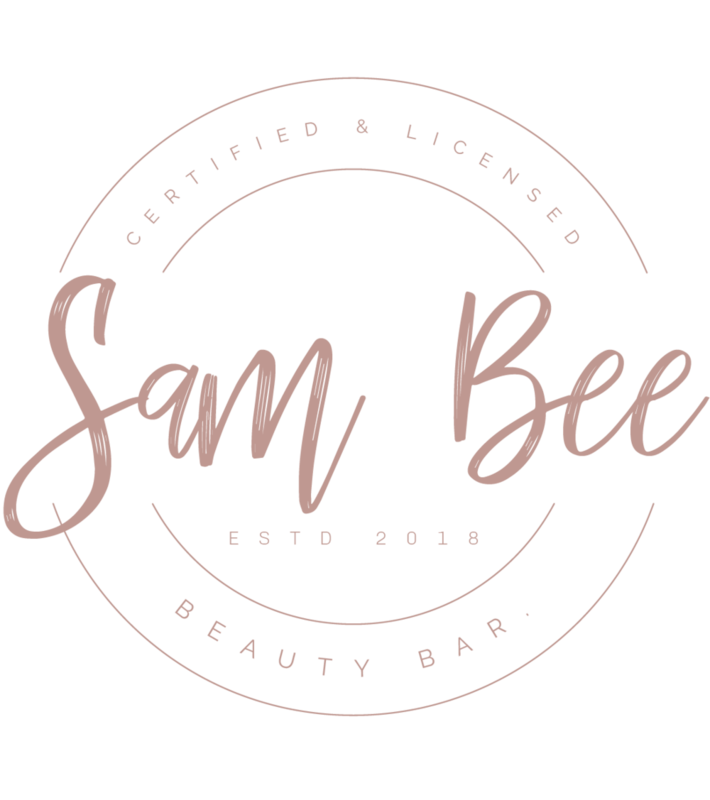 Think of it as going to an inexperienced hair colourist and going platinum blonde - if it is not done correctly there will be damage - it is the same with eyelash extensions! Do your research and ask questions. do eyelash extensions damage your natural eyelashes? should i book a 2 or 3 week lash fill? Eyelash extensions are a semi permanent service and need to be maintained every 2-3 weeks. How should you decide how long to wait? A 2 week fill is the most frequently booked. We shed between 2 to 5 natural eyelashes each eye a day - after 2 weeks that is on average 50 extensions each eye! If you have oily eyelids, oily skin, your hair grows fast or you do not have a lot of natural eyelashes, a 2 week fill is highly recommended as you will experience more shedding/ it will be more noticable. Remember, to be considered a lash fill you must have 40% of your extensions remaining. A 3 week fill is for those who really take care of their eyelash extensions or who uses no oil products, doesn't wear makeup, does not workout, cleans their extensions twice a day, does not touch or pull at their extensions, does not sleep on their side, does not rub their eyes and are extremely careful with their extensions. If you follow the pre + post care information provided or have a lot of natural eyelashes you should be able to maintain with a 3 week fill. After 3 weeks we have shed on average 74 eyelashes per eye. Remember, to be considered a lash fill you must have 40% of your extensions remaining. Please note anything after 21 days is considered a full set. Book your lash fills in advance to ensure you have an appointment. what is the difference between classic, hybrid and russian volume extensions? One extension is applied to one natural eyelash - the 1:1 ratio. Classic extensions look best on clients with full natural eyelashes. These sets look different on everyone as we are literally working with the eyelashes you have and everyone's lash line is completely different. These extensions give a curled lash topped with mascara look. A mix between both classic and volume extensions. Hybrid extensions are amazing for special occasions if you are looking for a slightly more dramatic look, for those who have gaps in their lash lines or do not have a lot of natural eyelashes to work with. A handmade fan with between 2-6 extensions is applied to one natural eyelash (2D is 2 extensions in a fan, 3D is 3 extensions in a fan etc). The reason these fans do not weigh down your natural eyelashes is because they are extremely thin in diameter and lightweight. One fan is the same weight as one classic extension - except since there are a few extensions rather than one it creates a fluffy textured look. Volume sets are for those who love full or dramatic eyelashes (keep in mind volume extensions can still look very natural - just tell your lash artist if you want natural or dramatic) for those who have gaps in their lash line or sparse lash lines and want to achieve full beautiful eyelashes!